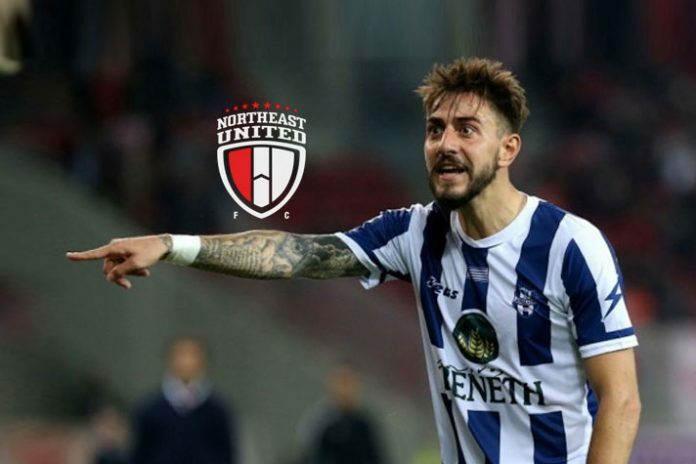 Indian Super League team NorthEast United FC have confirmed the signing of Panagiotis Triadis from Greek club Apollon Smyrnis. The 26-year-old Greek professional footballer will be with the Highlanders for the rest of the Hero Indian Super League (Hero ISL) 2018-19 season. The club has also shared the news about their latest singing on twitter. As a Greek born in Germany, Triadis has represented the German national team in the U-15, U-16 and U-17 levels. He has also played for the Greece U-19 national team. Having plied his trade in clubs like SV Wehen Wiesbaden, Xanthi FC and Apollon Smyrnis FC, Triadis will bring in a wealth of experience to reinforce NorthEast’s attacking repertoire. Highlanders’ head coach Eelco Schattorie was delighted with the latest addition to the squad. “Triadis is a player that can play on the wings and midfield. He has the German fighting spirit in him which is always welcome. Hope he hits the ground running as we are already short on time. We welcome him into our family and will support him all the way,” says Scahttorie.